Part 1, she talks about ghost stories, and a little about her own ghost, Jeffrey. Part 2: More about Jeffrey, the importance of storytelling in the Southern United States and her part of Alabama, blue bottle trees, and family storytelling. Part 3: telling ghost stories to children, why ghosts come back, collecting and preserving ghost stories. Does the art of the storyteller translate well to video? It's a question that storytellers have wrestled with since the beginnings of the American storytelling revival, which predated the rise of the home video recorder by just a handful of years. As a performer (and as an audience member), it's an interesting dilemma, as video has the potential to increase reach, at the same time that it may or may not capture what is essential about the live art. 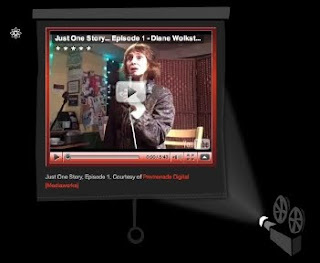 There's been some recent chatter (again) about the invisibility of this art form in today's broadband media landscape, and this called to mind recent efforts (like those of Ellouise Schoettler, Philip David Morgan, Eric Wolf, and RED Internacional de Cuentacuentos, among others) to use the Web to showcase videos of storytellers telling stories. 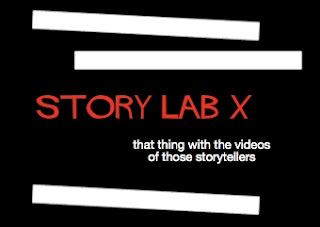 So, along those lines, for your consideration, to consider both the plusses and minuses of watching storytellers on video, I'm launching a new site, Story Lab X.
I'm simply curating-- scraping videos from YouTube, Vimeo, Ning, Blip, etc. (so if one day you happen to catch one of your own videos there-- don't panic. I'm simply linking to where you originally posted it using the 'embed' code. (If you don't want your online video shared online, then might I suggest disabling the sharing option?)). I chose the word "lab" to call to mind an experiment. 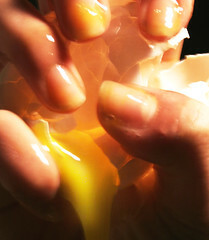 The videos that appear will not only differ in their content, but in their approach to the medium. There are aesthetic issues the translation to video entails... some of these videos are clearly using what different about the medium to their advantage, and many, it is clear, have not thought about it. Posts on some of these issues raised, the plusses and minuses of translation to video, are coming soon. Meanwhile, over at Story Lab X, the videos are there for you to ponder, to enjoy, and to stir up questions of aesthetics. For the time being, there's a new video posted each day. This blog is meant to be a public discussion of issues and practices in contemporary oral storytelling as a performance art. More details here. Who am I? I'm blogger Tim Ereneta, and I tell stories.